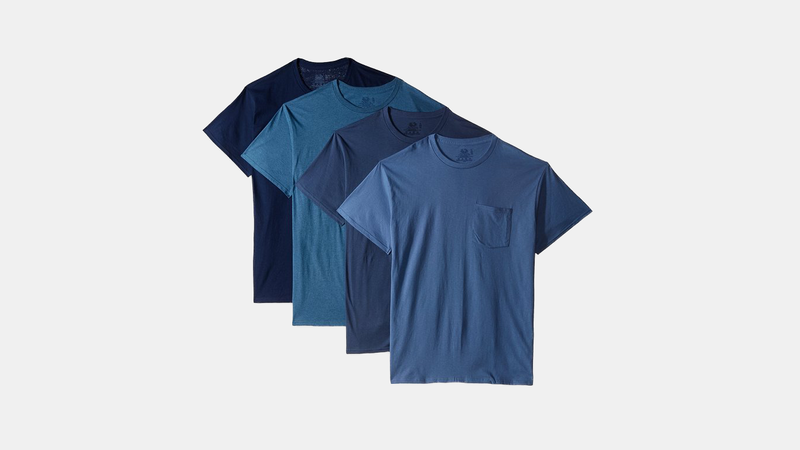 Pocket tees are in and this set has a pretty solid fit. Fruit Of The Loom isn't know for their style but they have done something right with this tee. The set is fifteen dollars and you get 4... cant beat the price. Guaranteed to make the wife happy. 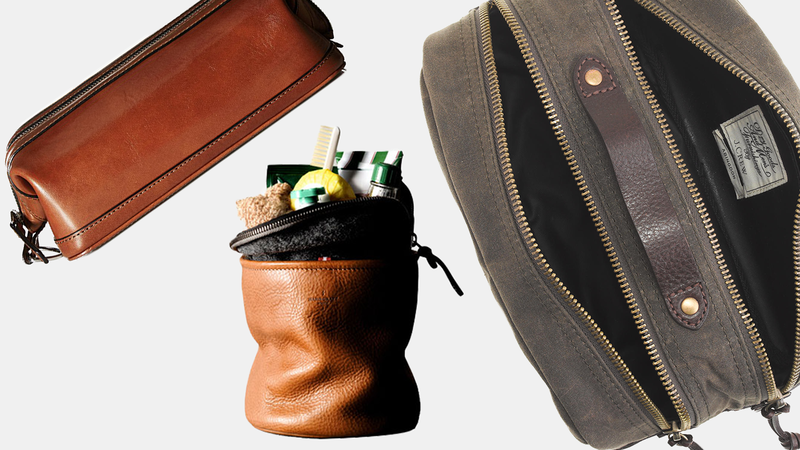 If your not slimming down your wallet them your doing it wrong. 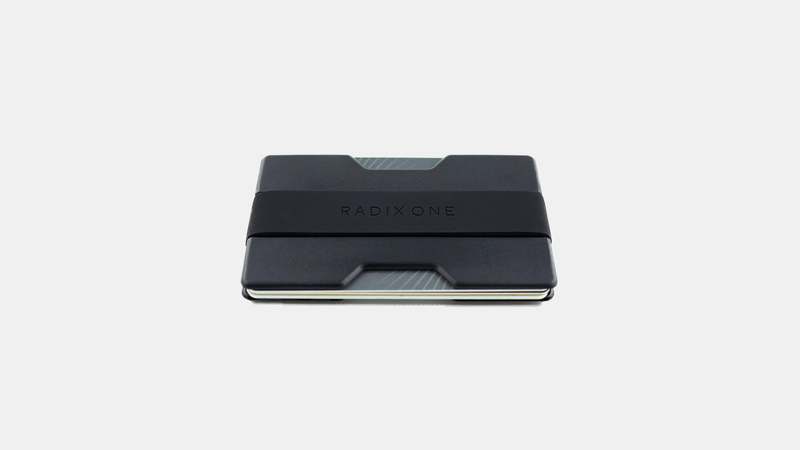 ​Made in USA and Imported, Thinner than most existing wallets, Strong and durable polycarbonate parts, Comfortably holds 4-10 cards and can store both cash and cards. 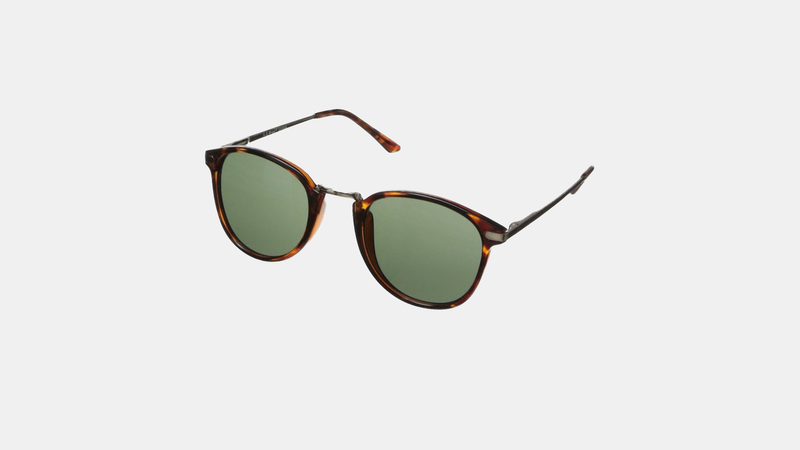 ​Simple yet stylish sunglasses will always keep you lookin good. A.J. Morgan has been around for more than 2 decades but we have never heard of them... Amazon has a pretty sweet deal doing on right now though so if you like the style, you may want to grab a pair soon. Class your style up with a simple leather watch. 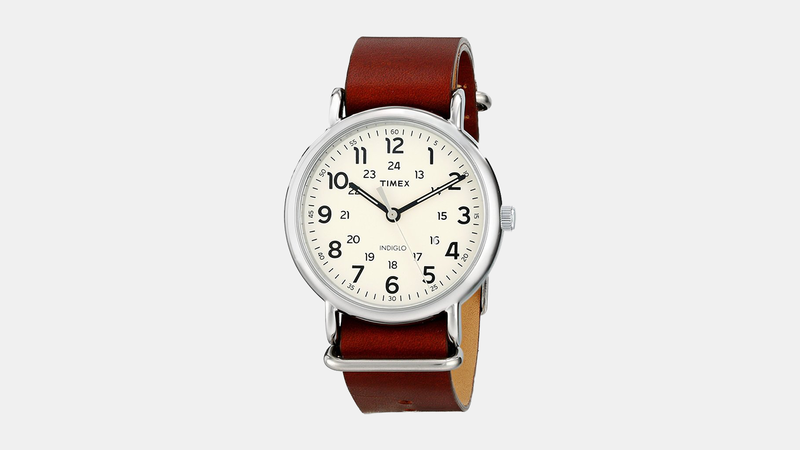 Timex is a solid brand with a quality product. Details include: Made in USA and Imported, Brown Genuine Leather Slip-Thru Strap, Round Cream Dial, Full Arabic Numerals & 24-Hour Military Time, Polished Silver-Tone 40mm Case, Indiglo Light-Up Watch Dial, Water resistant to 30m (100ft): in general, withstands splashes or brief immersion in water, but not suitable for swimming or bathing. 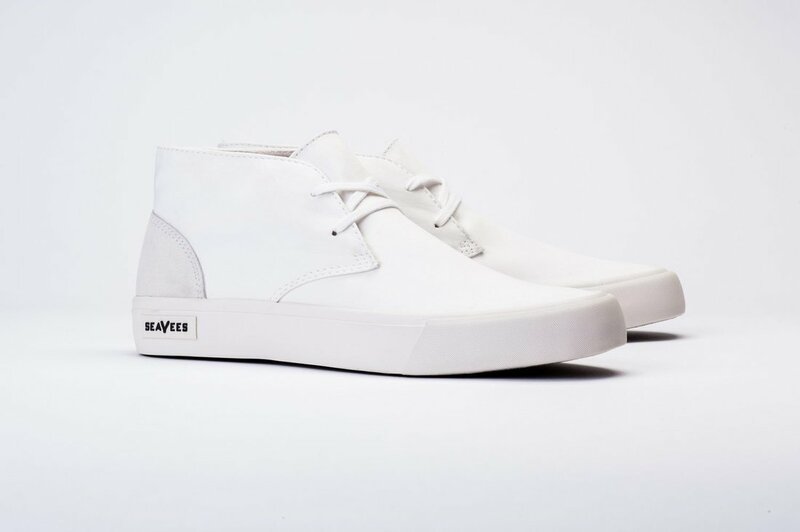 Typically about $100 these shoes are a killer deal. Details: Imported leather, Synthetic sole, Shaft measures approximately 3" from arch, Uppers made from a combination of premium white poplin twill and soft suede leather accents, Punched eyelets and soft washed cotton laces, Perforated custom contoured footbed is lined in washed cotton canvas and provides cooling and cushion, Signature herringbone molded outsoles provide more bounce and sure-footed grip on any surface. Santa barbara, ca designed. ​Teated and approved by the team. Everyone man needs a good pair of black pants. 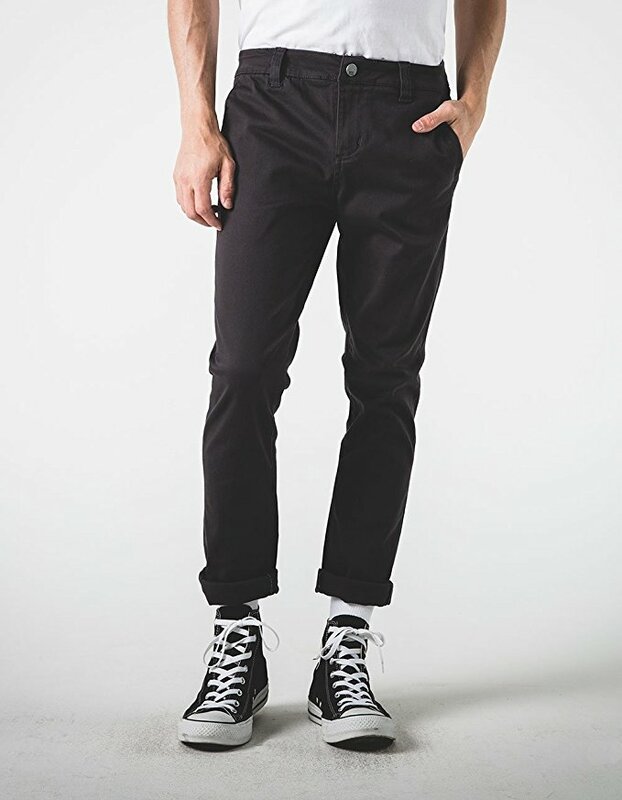 The RSQ Seattle Skinny tapered chino pants are low priced but pretty sweet. The pants are made of 97% cotton and 3% spandex. Which means they are stretchy and soft but look good. Tested and approved by the team.